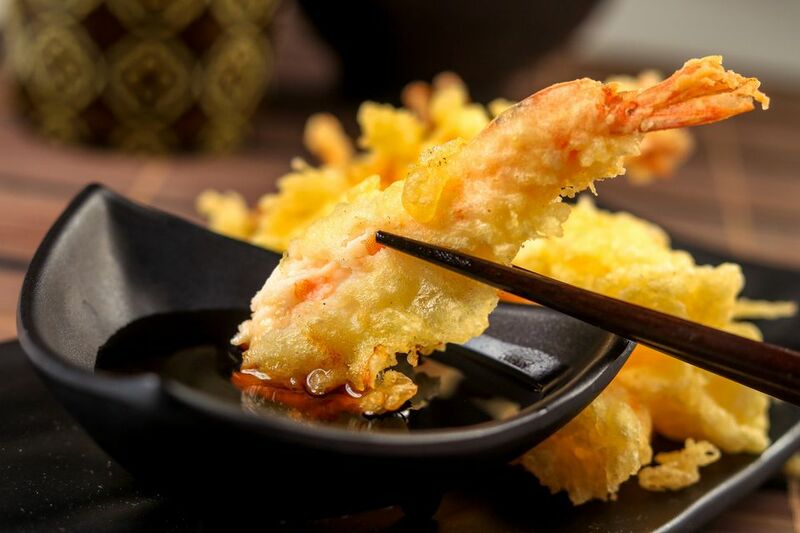 Tempura is a Japanese dish where seafood and vegetables are coated in a cold batter and then deep fried. It is most often served with a tentsuyu dipping sauce—this is made from dashi soup, mirin, and soy sauce. These ingredients are also used in the simmering sauce for donburi, as well as soba (buckwheat noodles) and agedashi tofu (deep-fried tofu in broth). When served with tempura, grated daikon is often an accompaniment. A simple recipe, tentsuyu can be put together in a matter of minutes if you have pre-made dashi soup stock on hand, which can be made ahead of time or purchased at Asian food markets. Put dashi, mirin, soy sauce, and sugar in a saucepan and mix well. Bring to a boil over medium heat. Turn off the heat and let it cool. Serve in individual small bowls. Add some grated daikon if you would like. Tentsuyu dipping sauce is made from three to four parts dashi soup stock, one part mirin, and one part soy sauce. Sugar may also be added to this sauce, and when it is, the sauce is called ten-don.